You may also start a tournament, where you play the first three games, in this order, until one of the players achieves the winning score. 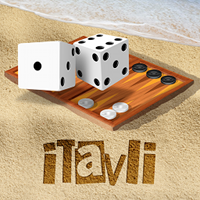 iTavli is available for PC, iOS, Android and Kindle devices. Please click on the images at the bottom of the screen to get to the corresponding store.